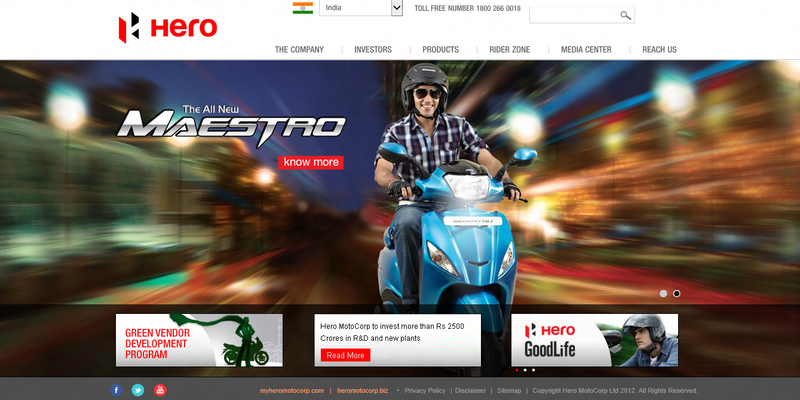 For the launch of its new two-wheeler automatic scooter Maestro, Hero Motors has taken to its Facebook Brand page to create end-user engagement. The product is directed at the young male audience. restrict myself to talking about the Facebook application that Hero Moto Corp is promoting. The application brings together a 360 degree view, E-brochure pdf, Store Locator and a Game called Chance a Glance, which borrows its premise from the TV commercial. 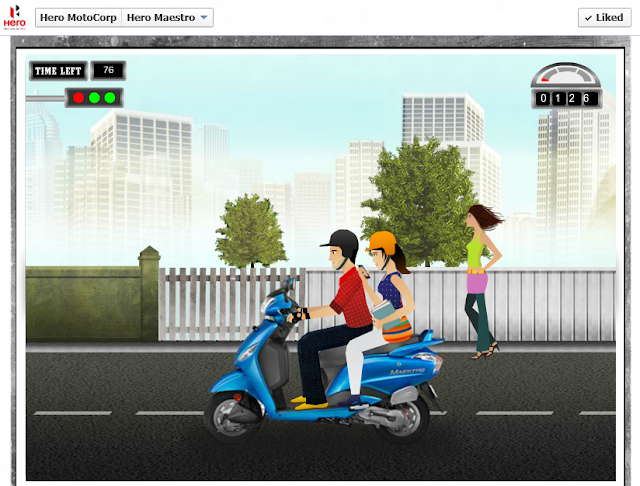 Users need to ensure that the hero riding his Maestro doesn’t get busted by his girlfriend when he is eyeing other women on the road. Keyboard Arrow keys are used to get the hero to see left or right. The more women he eyes the more points you score. The game is really simple & effective and in sync with the overall campaign. The same apps (except the game) are being used on the Maestro page on the Hero Moto Corp site. The key visual really stands out and gives the page a slick look. The Game is being promoted via rich media on Yahoo! 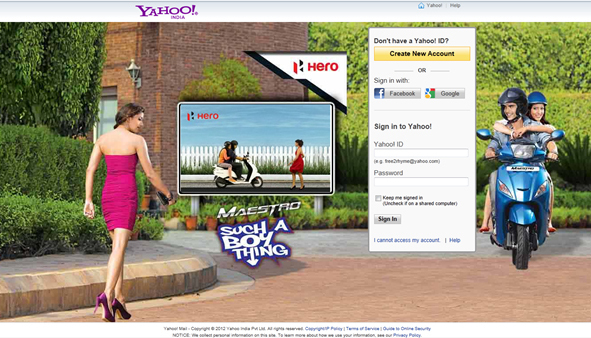 India’s home page and Email Login Page. Hero Maestro is a unique combination of latest technology,advance features and powerful engine with excellent looks.